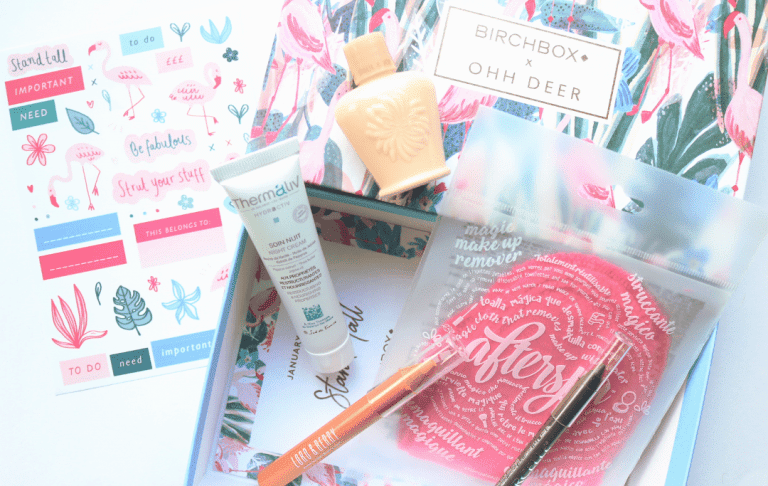 This month’s Birchbox is a collaboration with the quirky British stationery brand, Ohh Deer, and it comes in special edition box that features a popular Ohh Deer print. I love the flamingos – it looks so sunny and tropical! The overall theme for January’s edit is all about ‘Standing Tall’, and doing things your own way, which I feel ties in nicely with the creativity of the Ohh Deer collab and of course, those cute, tall flamingos! 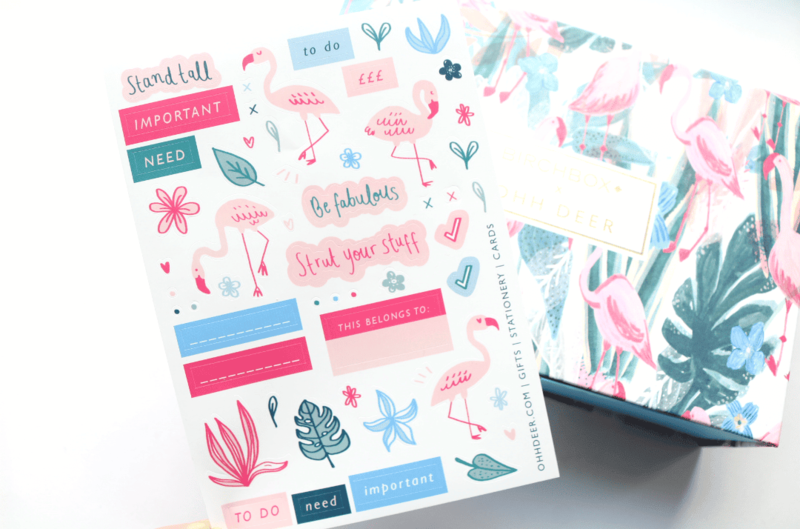 You couldn’t have a collab with a stationery brand without including something like a sheet of stickers, and these are really cool! I use stickers a lot when I’m sending letters and postcards, so these will definitely come in handy. 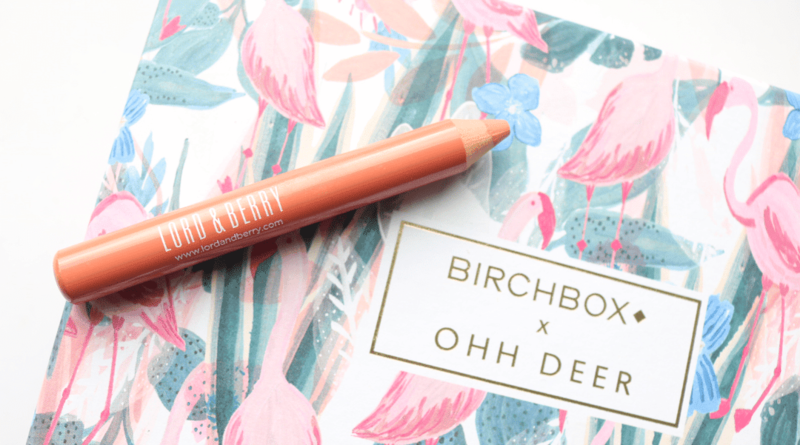 This month, Birchbox have included a full-size Lord & Berry Blusher Crayon and you’ll receive one of two shades; either Camelia or Peach. 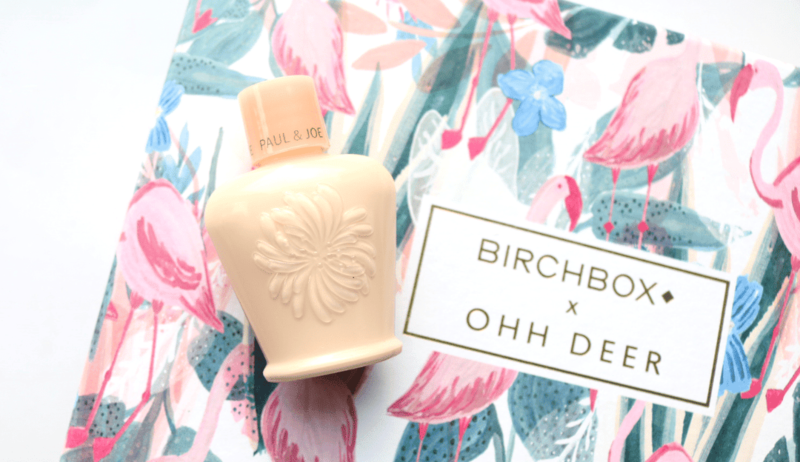 I received the latter and it’s a super pretty everyday peach shade that brightens up your face, without looking OTT. I imagine that I might wear it more in the Summer months though, but I like how easy it is to use as you essentially just ‘scribble’ it onto your cheeks and then blend it out – whoever said makeup wasn’t supposed to be fun?! Next up, I found a Waterproof Eyeliner from Marcelle, a brand I haven’t heard of before, but I’m really impressed with this eyeliner. It’s long-lasting, waterproof (I’ve put this to the test when I got caught in the rain and it’s completely waterproof and smudge-proof) and basically stays put until you want to take it off at the end of the day (or night, depending on what your plans are!). 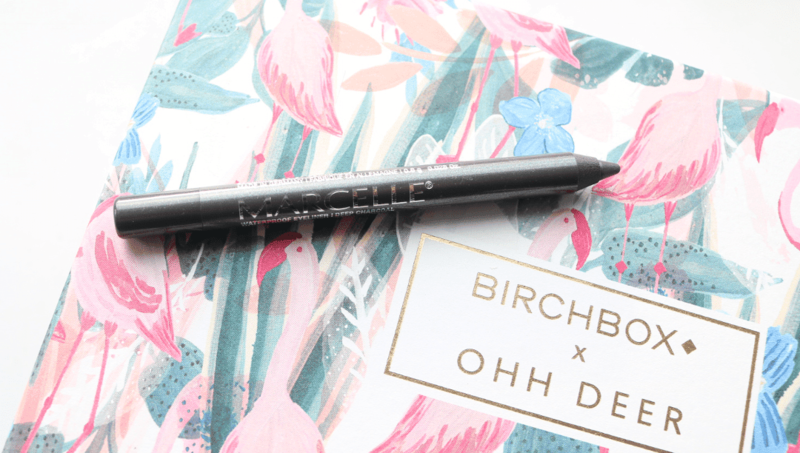 This Charcoal shade is also a gorgeous deep and dark smokey grey, which makes it stand out from the rest of my liners which are predominately black. 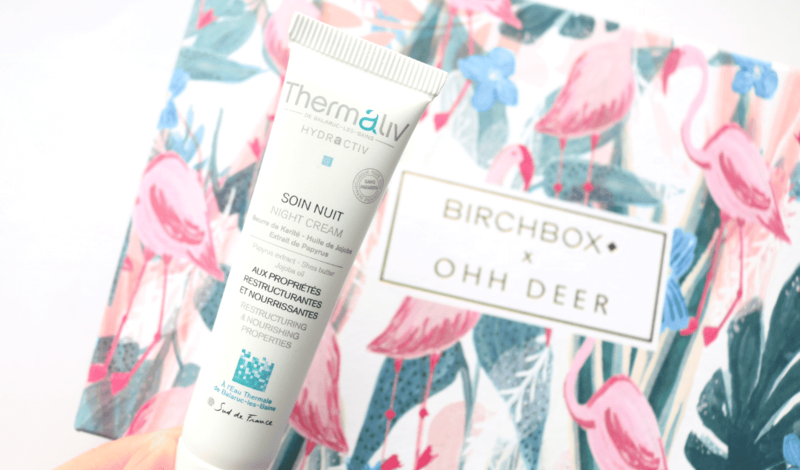 Moving onto skincare, I found a travel size of the popular Thermaliv Night Cream, which I’ve seen mentioned on numerous skincare blogs, so I’m excited to try it out. It contains Sea Chamomile to boost collagen production and Vitamin E to soothe, and promises to leave your skin feeling plump, nourished and looking well-rested come the morning. Sounds good to me! I’m not too familiar with Paul & Joe makeup, but I like the look of this foundation primer which claims to be both moisturising and illuminating, for the perfect glowy skin base. It’s enriched with Botanical Extracts to deeply hydrate and has a subtle gold pearl shimmer in the formula that adds an instant radiant, dewy glow to your complexion. Whilst I like the design of the bottle, it is a little tricky to actually use in practice, so not something to reach for when you’re in a rush in the morning! 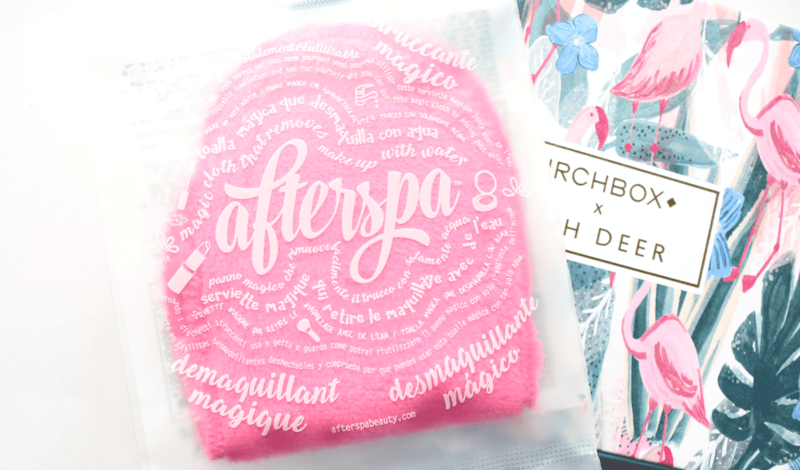 Lastly, there’s an Amazing Makeup Remover from Afterspa which is a super soft wash cloth that removes your makeup with just water. I currently use something similar from another brand that works a treat, so I’m curious to try this one out to see how it compares as it looks pretty much the same. Lasts for up to 1,000 washes which is incredible and eco-friendly, plus it would come in really handy for holidays and weekends away when you don’t want to pack a ton of products. 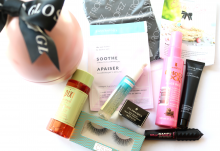 Although this box isn't the most exciting that I've received from Birchbox, I do really like all of the products in it, especially the Marcelle Eyeliner and the Afterspa Makeup Remover. Rating: 3.6/5. From 32 votes.